Brittan Cortney earned her J.D. in 2014 from Southwestern School of Law after receiving a B.A. in Communication and a minor in Spanish from the University of California, Davis with honors. The American Board of Trial Advocates (ABOTA) selected Ms. Cortney to serve as a fellow for its annual program upon her completion of law school. During this fellowship, she gained a unique and enriching experience working with both defense and plaintiff firms and with the Honorable Judge Michael Stern at the Los Angeles Superior Court. 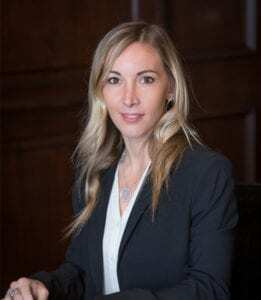 Brittan Cortney focuses her practice on protecting the rights of consumers and victims of serious personal injuries, financial loss and/or wrongful death. She spends an enormous amount of personal time with her clients. She finds that by experiencing a part of their life with them, she can better understand, and therefore translate their losses to a jury by highlighting the human elements of trial. Southwestern University School of Law, Los Angeles, CA, 2014, J.D.